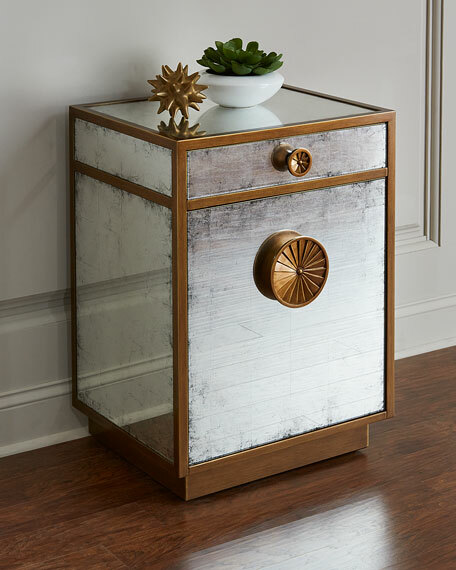 A deco-influenced night stand with a single drawer and a cupboard space with a three-way adjustable shelf. The entire case is in eglomise panels framed in Aztec gold-finished moldings. 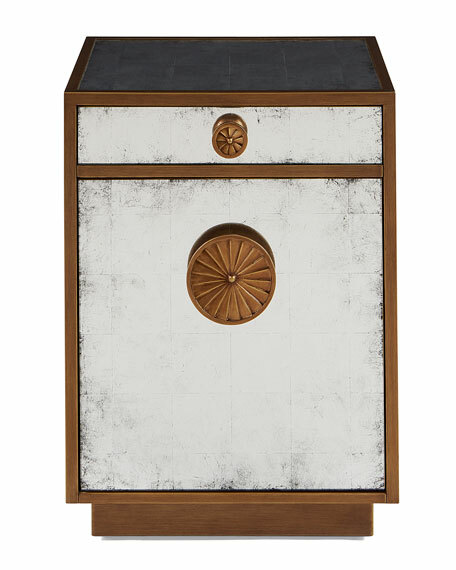 The drawer and door are both accented with a fan motif handle. Overall, 22"W x 18"D x 30"T.
Glass, acacia, and wood composite. Includes hardware for door and drawer.